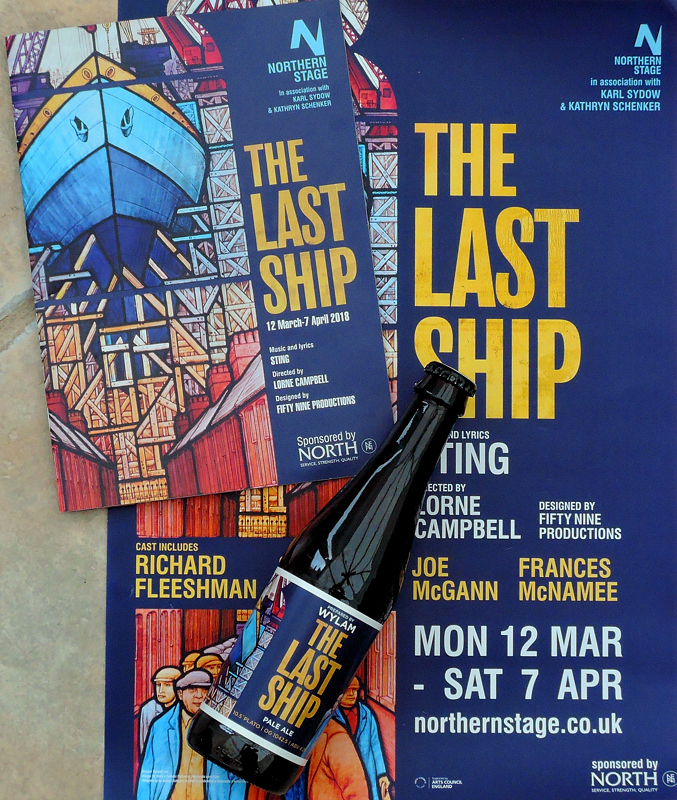 It was anchors aweigh for The Last Ship this week as the show opened for previews at Northern Stage in Newcastle, ahead of its official opening night on March 21. Following weeks of intensive rehearsals, the curtain finally went up on Sting’s debut musical, in the city that is the production’s spiritual home. The cast and creative team earned a standing ovation at the end of the first performance and extremely positive response on social media. To stay up to date with news of The Last Ship visit The Last Ship Musical and follow them on Twitter and Facebook. Although the Newcastle run has almost sold out, you can catch the show at Liverpool, Birmingham, Northampton, Leeds, Nottingham, Cardiff, Dublin, Edinburgh, Glasgow, York and Manchester (click on each city name for ticket booking). You can also check out some beautiful photographs of the cast and the stunning stage set here. Having been fortunate enough to see a few performances of The Last Ship on Broadway in autumn 2014 we were excited to see what changes had been made for the UK theatre run this Spring. The story had largely the same premise but there were indeed a number of significant changes. Happily, these tightened the story up and made the narrative clearer without sacrificing too much. A couple of characters had disappeared - Arthur and Father O'Brien - and Meg and Gideon's child was now a girl, Ellen. This was just one of the changes that we felt strengthened the role of the female characters in the play, along with Meg being a fairly successful businesswoman, the superb Charlie Hardwick as Peggy White, and the introduction of a thinly disguised Margaret Thatcher clone in the DTI's Baroness Tynedale. Most of the songs remain from the Broadway run, some with significantly changed lyrics, but the play is now much more relatable to UK audiences, especially those old enough to have lived through the industrial strikes and hardships of the 1970's and 80's. Shop stewards, picket lines, shipyard owners and workers are all here as are politicians who know the cost of everything but the value of nothing. The ending is much more open and much improved on Broadway one, with an impassioned monologue from Ellen highlighting the strength and unity of communities around the world - in the US, Greece, the Ivory Coast and the UK - to instigate and force change. The cast were terrific, and the stage set is simply stunning. There are few props, but the use of video and lighting is spectacular conjuring up shipyards, stormy seas, building and church interiors to beautiful effect.